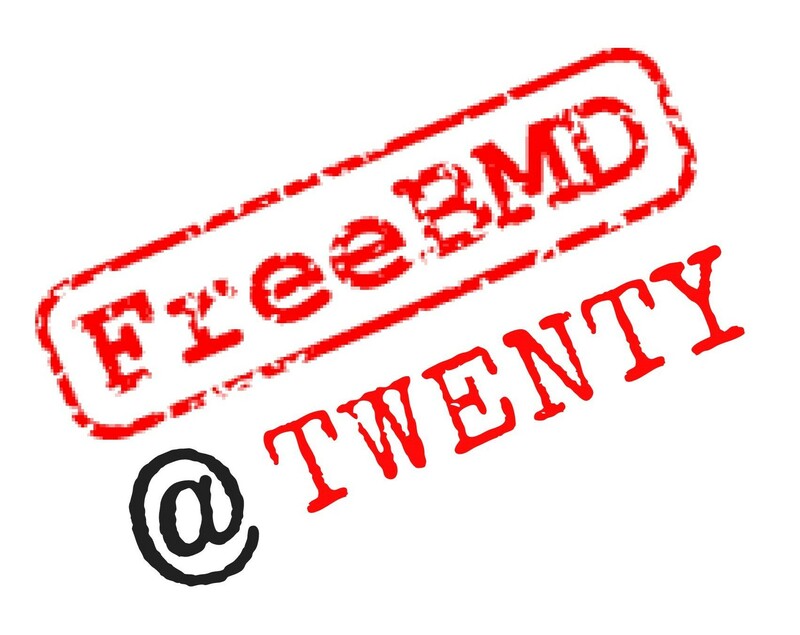 The main focus was to celebrate the 20th Anniversary of FreeBMD, as well as the project coming to the end of the 'first keying' of records. The programme for the day can be viewed here. In the first part of the meeting, FreeUKGEN trustees Graham Hart and Alexandra Eveleigh spoke about FreeBMD: Past, Present and Future, and Crowdsourcing respectively. Part two saw Audrey Collins of The National Archives give a presentation on the General Register Office’s (GRO) Records, and Else Churchill from the Society of Genealogists speaking on the subject of Birth, Marriage and Death: Beyond the GRO Registers. Footage of the day can be viewed below, and also on our YouTube channel. Audrey performed a slightly longer version of this talk at Rootstech earlier this year which include some audience questions at the end. She has kindly provided us with the handout (PDF) that accompanied that presentation.